KICK-EEZ® SLIP-OVER RECOIL SYSTEM combines a specifically engineered slip-over pad with the unsurpassed recoil absorbing properties of a Sorbothane® insert. 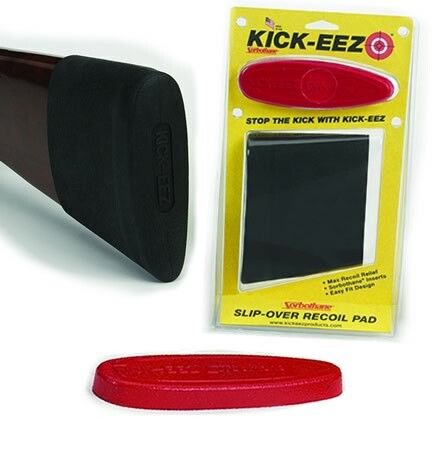 The KICK-EEZ® SLIP-OVER RECOIL PAD is designed for all shooting applications and with 3 sizes installation is easy. Sold separately, additional 1/4″ Sorbothane® inserts are available to provide extra recoil relief to any “slip-on” style recoil pad. 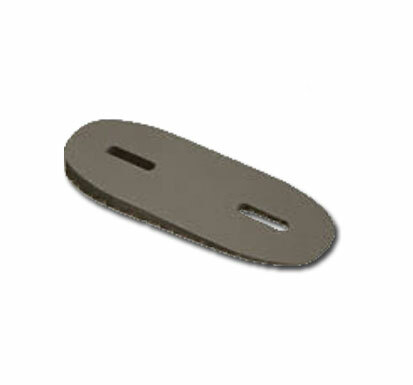 By adding or combining KICK-EEZ® inserts your length-of-pull can easily be adjusted. Note: 100% Sorbothane 1/2″ Insert Included.